Anyone who has ever seen those extremely long carrots either at local horticultural shows or on television cannot fail to be impressed that carrots can reach such huge lengths (often well over a metre or two long). Many gardeners would love to be able to achieve the same results in their own back gardens or back yards, but have no idea how this is achieved. I was one of those gardeners, and a few years ago I decided to have a go at growing very long carrots for exhibition myself. I spent a lot of time researching what was involved and what equipment, compost ingredients and seed varieties I would need in order to maximise my chances of successfully winning the long carrot class at our local annual horticultural show. I did win the class in the end (plus I also won the trophy for the best root vegetable in show two years running) and this article will explain the technique I used in order to achieve my success so that hopefully you too will be able to do the same. Apart from this being a great challenge for any gardener (especially one keen on competing with his or her vegetables) it also makes a great school project to get children interested in growing vegetables and plants. The kids can even have a competition to see who can grow the longest carrot. Hopefully they too will find this article and use the information it contains to maximise their chances of winning the contest. Have you tried growing long carrots before? Would you like to have a go at growing long carrots? Seeds: In order to get started on growing your long carrots you will first need to buy the correct seed variety to produce the length of carrot you are looking for. In my experience the best variety is New Red Intermediate, or alternatively St Valery (which comes from the same strain). Both of these varieties are capable of reaching extraordinary lengths, and for this reason they are a favourite with exhibitors. It is important to source your seed from a reputable supplier who has spent time reselecting the best carrots each year to save seed from. I generally buy mine from suppliers such as Medwyn's of Anglesey or Exhibition Seeds, but there are other excellent seed suppliers you can use in addition to these. Recycled oil drums or plastic barrels: The next important pieces of equipment you will need are plastic barrels or oil drums. These will need to be thoroughly cleaned if they have previously contained chemicals of any kind. I tend to try to approach farmers or the local dairy and ask them for the large blue plastic drums they receive cleaning chemicals in (Formaldehyde etc) as these are ideal once they have been washed out. Work on the principal that each barrel or drum will be capable of holding 6-7 long carrots from seed to maturity. Segments of plastic pipe: Try to get hold of any recycled lengths of underground plastic drainpipes or downpipes (approximately four inches in diameter) and cut them into segments about three to four inches long. Sand: You will need enough washed concreting builder's sand to fill each of the drums or barrels to within a few inches of the top. A cordless drill: This is purely to make holes in the bottom of the oil drum or barrel to allow for drainage. A long crowbar or metal spike: The crowbar or spike will be used to create conical shaped holes for your compost mixture to be trickled in to prior to planting your seeds. A wheelbarrow: This is to hold your compost mixture. A cement mixer (optional): Although this is optional it really does make light work of mixing up the compost recipe you have chosen. A watering can: Simply to wet your compost mix prior to planting your seeds. A spade: To manually mix your compost recipe if you do not have access to a cement mixer (you can also use your hands). A 1/4 inch garden riddle/sieve: Used to sieve your compost and peat moss to remove twigs, lumps etc. Multi-purpose compost and moss peat: Garden Centres will usually sell good multi-purpose compost and moss peat, and depending on how many carrots you intend to grow and which compost recipe (below) you choose to try out will determine how much you need of each. Horticultural sand (very fine with no pebbles etc): You can buy horticultural sand from your garden centre. Make sure you choose a good quality sand that has no visible pebbles in the mix. The rest of the ingredients depend on which recipe you choose to try out. Both recipes will need one or both of the above ingredients, but the two recipes vary slightly otherwise. Please note that Compost mix C really is a very basic method that will produce fairly good results, but is unlikely to produce the same length and quality of carrots that Compost mixes A and B will. Now you have all your equipment and compost mix ingredients to hand you can begin your project. The first thing you need to know is that long carrots require at least 22 weeks to reach a good enough size to enter in competitions, therefore if you have a particular show or competition in mind use a calendar to work backwards and calculate the best planting date for your seeds. 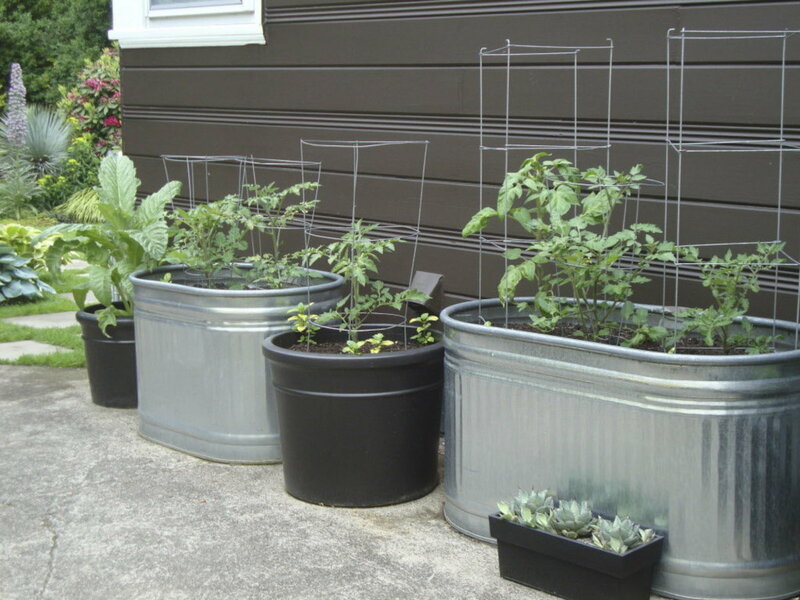 If the weather is cold and wet when you need to plant try placing panes of glass over the planted drums or barrels to create a mini greenhouse effect (just remember to remove the glass on warm days). 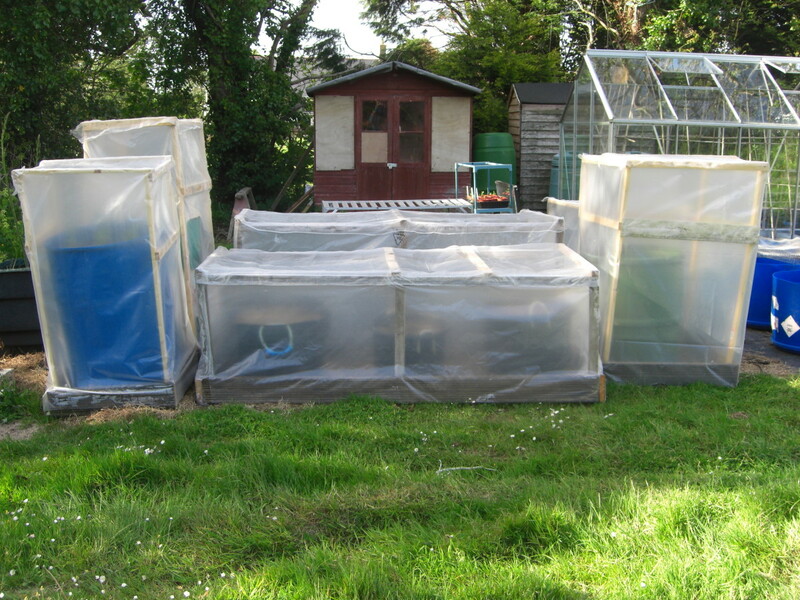 Once the weather has warmed up remove the glass altogether and consider placing a protective frame around your carrots (mainly to stop carrot root fly gaining access to the plants as well as creating a micro-climate that will improve their growth rate). I will describe this protective frame later. Drill at least a dozen holes in the bottom of your drums or barrels and place them in the locations you want them to stay (making sure they will get plenty of sunlight throughout the day). Fill each drum or barrel with the washed concreting builder's sand (leaving a few inches between the level of the sand and the rim of the container). Use the watering can or a hose to wet the sand thoroughly and make sure it drains right through to the bottom of the containers. Use a 1/4 inch garden riddle to sieve your compost and peat moss so that no twigs or lumpy particles remain in the mixture. Place all the ingredients for your chosen compost mixture into either the wheelbarrow or the cement mixer. If using the wheelbarrow method you will need to use the spade (or your hands) to thoroughly blend the ingredients together. This is time consuming and tiring, and is why I prefer to borrow or hire a cement mixer and simply turn it on for several minutes and then tip the mixture into the wheelbarrow. Use your spike or crowbar to create a conical hole a couple of inches in from the side of the barrel or drum. Drive the spike or crowbar vertically down to a depth of at least three feet and begin to rotate it so that the point stays in the same position, but the top of the bar gradually creates a four inch in diameter top to the conical shaped hole. Carefully trickle your compost mixture into this hole and try to make sure no air pockets are left in the compost mix by gently prodding down the mixture using the spike. When the hole is full you can repeat this exercise around the sides of the drum or barrel, finishing with one hole in the centre of the container. Usually I find there is room for six seed stations around the perimeter of the drum, and one in the centre, making a total of seven stations per drum. Take your segments of drainpipe and place one over each seed station, pushing it into the sand to a depth of about an inch. Water each station thoroughly and allow to drain. Use your finger to create about four to five holes, each about 1/4 of an inch deep towards the centre of each seed station. Place one seed in each hole and carefully cover the seed with more of your compost mix. Lightly water the seed stations again without risking washing the newly planted seeds out of position. 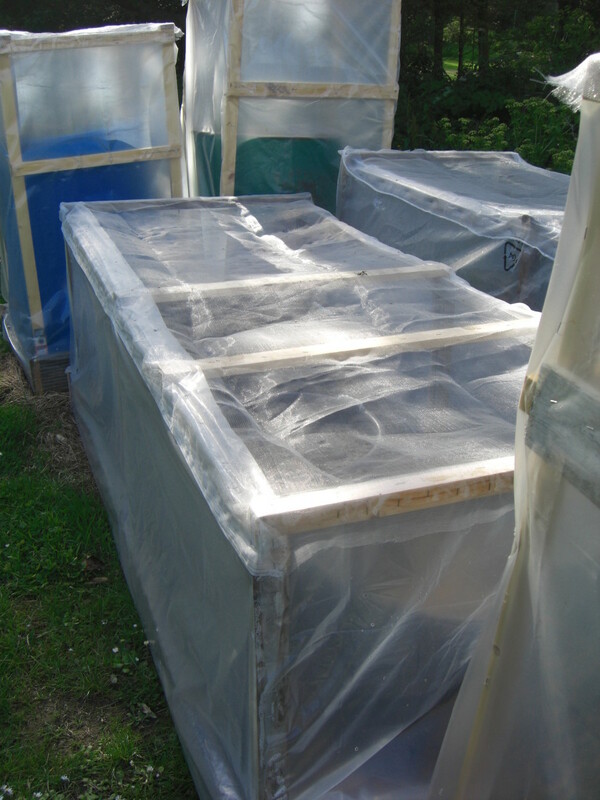 Cover with glass if required, but if not just ensure the compost remains moist until germination takes place. Once the seedlings reach the stage they have formed their first 'true' leaves (not seed leaves) you should be able to get a good idea of which seedlings are the strongest. Wait until the evening (dusk) when the carrot root fly are less likely to be active, and remove all but two of the weakest seedlings in each station (without crushing the foliage which would attract carrot fly). 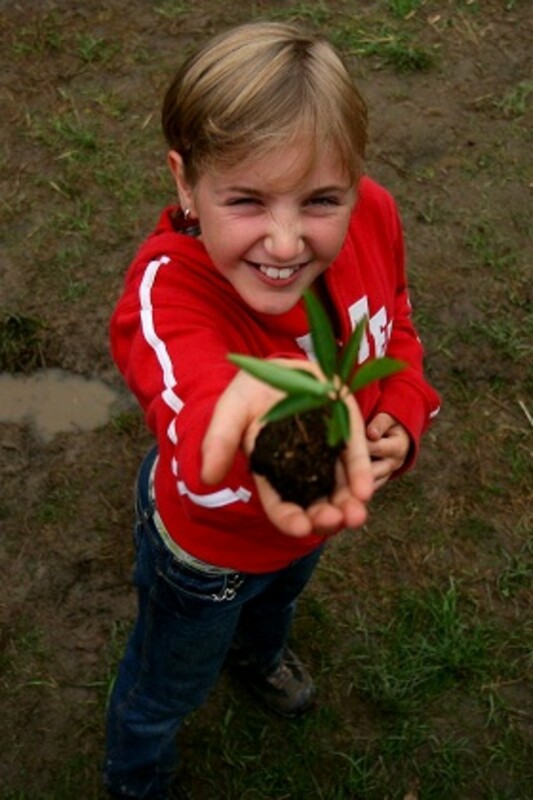 Within the next few days you should be able to make a final decision as to which remaining seedling is the keeper. At this point remove the second seedling leaving yourself with one strong seedling per station. The carrots can now get on with growing, but do remember that as they develop they may start to push their own shoulders (the top of the root) above the surface, so to avoid the tops of your carrots going green due to exposure to sunlight you should periodically check them and sprinkle them with a little more compost to cover their shoulders if necessary. Do not water the carrots too often as you want them to form a good long taproot in their search for water. 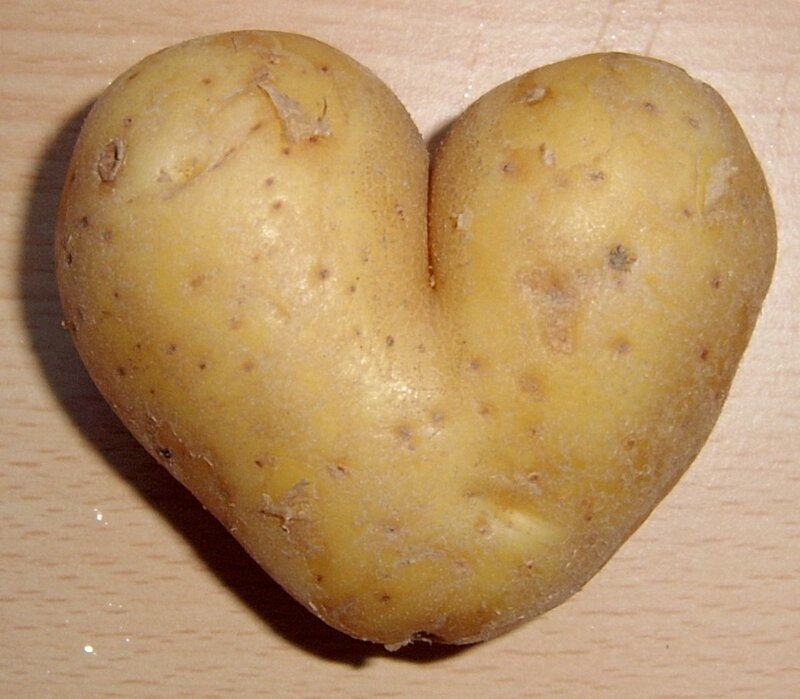 However it is important that you keep them moist in the early weeks to ensure they don't wilt. Never let them go without water for extended periods of time in hot weather though, as sudden watering after a dry period can cause the roots to split. Above all, never ever feed them any plant food other than what was already included in your compost mix. You would only encourage forked roots or lush foliage at the expense of decent roots by doing so. Watch out for slug trails or evidence of slug damage on your seedlings. If you are concerned use a few slug pellets around the carrots to avoid them being eaten. When the carrots have been growing the minimum of 22 weeks they should be ready to harvest. Water the drums very well and leave for an hour so the water drains right through to the bottom of the container. Stand yourself in a position where you can pull the carrots vertically out of the sand without pulling them at any kind of angle. Grasp the base of the foliage firmly, and then gently and slowly begin to pull (do not rush this stage as the foliage would break off, or worse still the end of the tap root). You should start to feel the carrot loosen in the sand, and then it will come free allowing you to remove it completely and check the results of all your efforts. In order to prepare your carrots for a show you will need to carefully pluck off all the 'hairy' bits from the sides of the roots. Trim the foliage down to a height equivalent to what you would grasp in your hand to hold them (this will leave about four inches of stalks attached to the carrot tops). 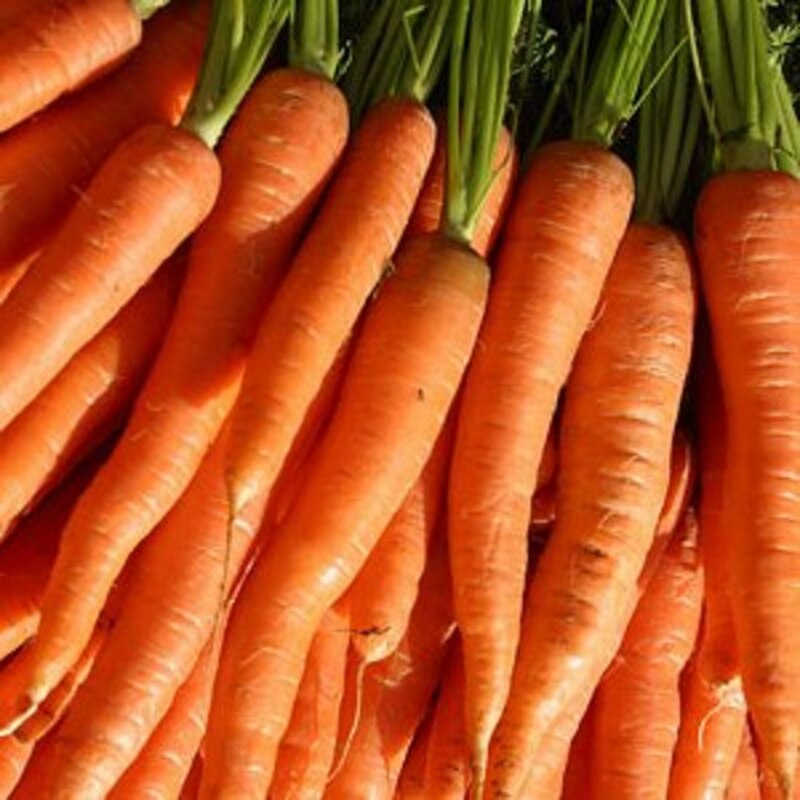 Wash the carrots carefully using a running hose and a cloth, making sure to only wash around the carrot, not up and down vertically. Your carrots are now ready to be sorted into matching sets according to the show's schedule. Carrot Root Fly are a real problem. Although most of the information available will tell you that they only fly eighteen inches off the ground and that any carrots grown above this height will be safe, it simply isn't true. Carrot Fly get blown upwards by breezes or air currents, they frequently manage to attack carrots grown over four feet above ground level, and for this reason it is wise to take basic precautions against them attacking your precious long carrots. If not prevented from doing so the female carrot fly will lay her eggs on the surface of the compost next to your carrots. When the maggots hatch out they will tunnel into your carrots leaving unsightly brown cracks and tunnels throughout the carrot roots. 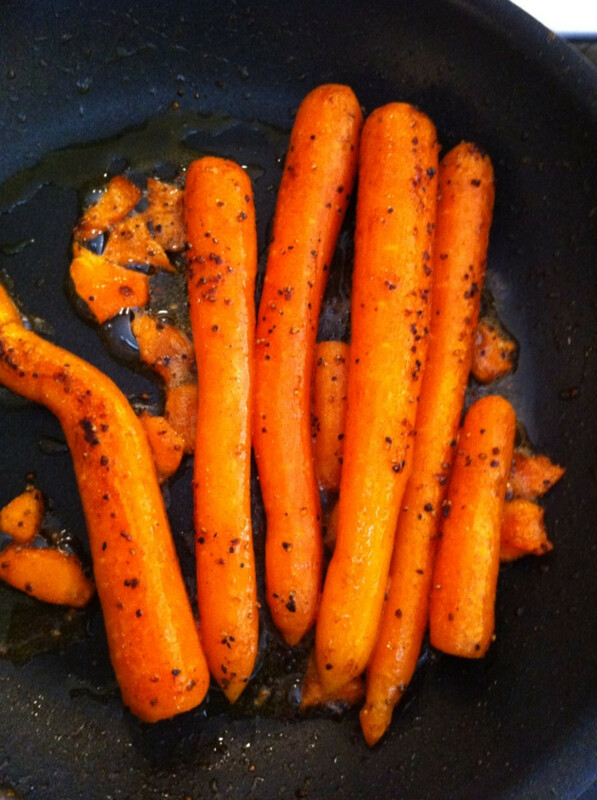 Browning or bronzing of the carrot foliage can indicate a carrot fly attack has taken place. Always thin your carrots at dusk when the carrot fly are less active. Remove the unwanted carrot seedlings very gently to prevent crushed foliage releasing the scent that attracts the carrot fly females. Dispose of the seedlings/thinnings as far away from your carrot plants as possible. 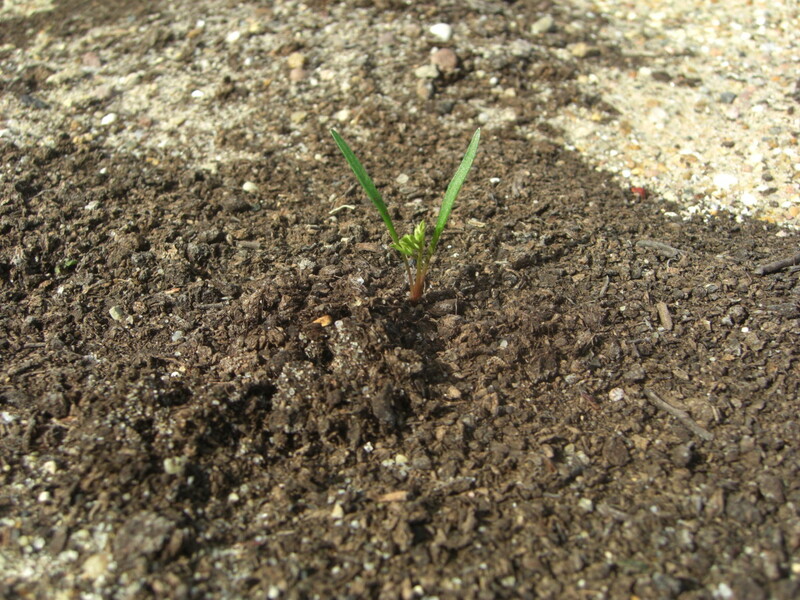 Plant strong scented plants nearby to cover up the scent of your carrots. Good plants for this purpose include onions and garlic. Build a carrot frame to literally create a physical barrier that the carrot fly cannot get past (see below). To build a protective frame for your carrots is relatively simple. This frame will not only protect your carrots against attacks from Carrot Root Fly, but it will create a micro climate that will boost the growth of your long carrots by protecting them from wind and keeping in any natural heat generated by the sun. Cut four wooden batons per drum or barrel to lengths approximately twenty four to thirty six inches taller than the height of the drum itself. Cut twelve wooden batons to lengths that are just a little larger than the diameter of your drum or barrel. Use the drill to screw the shorter batons to the long batons in order to form a frame that will fit over the drum or barrel your carrots are planted into. Effectively you will have four short batons around the base, four around the middle and four around the top. Cut out suitable sized sheets of clear polythene to cover each side of the frame and use the staple gun (or similar) to attach it firmly to the baton framework. Cut out a sheet of enviromesh large enough to cover the top of the frame (this will allow rain in and ventilation). Use the staple gun to attach this to the top of the frame. Lift the completed frame over the top of your drum or barrel so that it meets the ground at the base of the container. These frames allow you to easily remove them when required, plus you can water the carrots easily without needing to remove them at all. 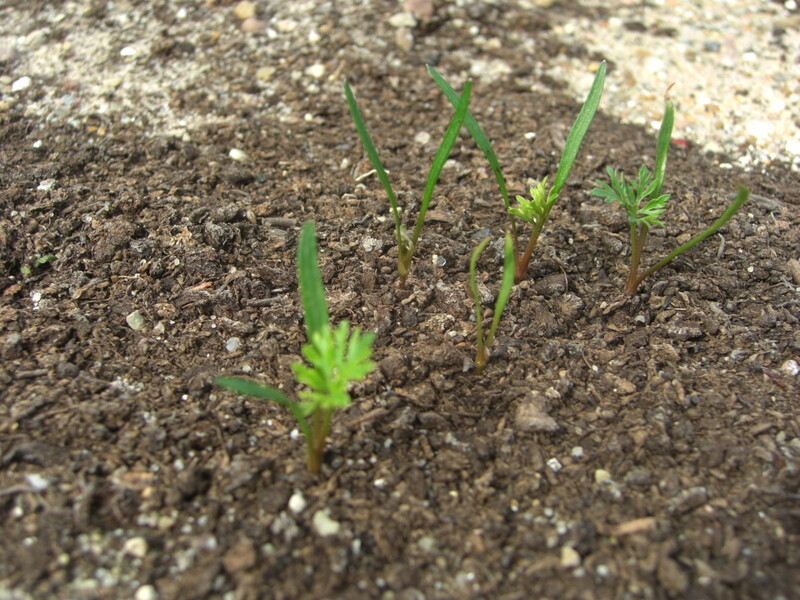 All of the advice in this article can also be applied to growing stump rooted carrots as well. The only difference would be that stump rooted carrots will require 25 weeks as a minimum growing time in order to form the true 'stump' ended root (otherwise you may well find they still have a pointed end when you pull them out of the growing station). For great stump rooted carrots try the variety 'Sweet Candle' (the exhibitor's favourite). I hope you have found this article helpful and that you will now go on to have great success at growing your own extremely long carrots. Growing long carrots for exhibition is a challenge, but this article offers the best methods and growing medium recipes to use in order to maximise your carrot length. How to Catch Big Fish: By Fishing With a Carrot. I love your detailed instructions for growing these carrots but hot late July is too late for this year so I will note this article and come back for read again in late winter. 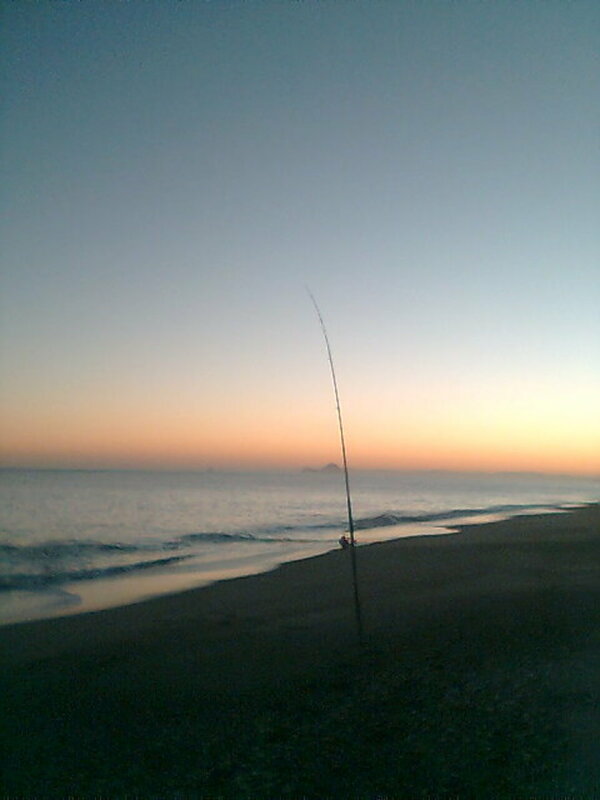 Thanks for the dreams! lol, if only it were that easy Bob. Still growing loads of veg, and won the class at our local show for best exhibit in vegetable section with my large display this year (also won plenty of other firsts and seconds as well). We all know you put Viagra in the seed beds! This one is doing the rounds again...I though you were more of a hot tomato?? Thanks very much ladydeonne. I am in the process of growing my own long carrots again for this year's show right now, so might try to get some photos of them to add to this article once I harvest them (should be about the middle of August). I have never seen such a long carrot. Your hub is very interesting and useful for carrot growers,especially those who who want to enter competitions. You have provided such detailed instructions that will prove invaluable to those who will try to grow the carrots. Voted up and useful.